Boats that follow me home. 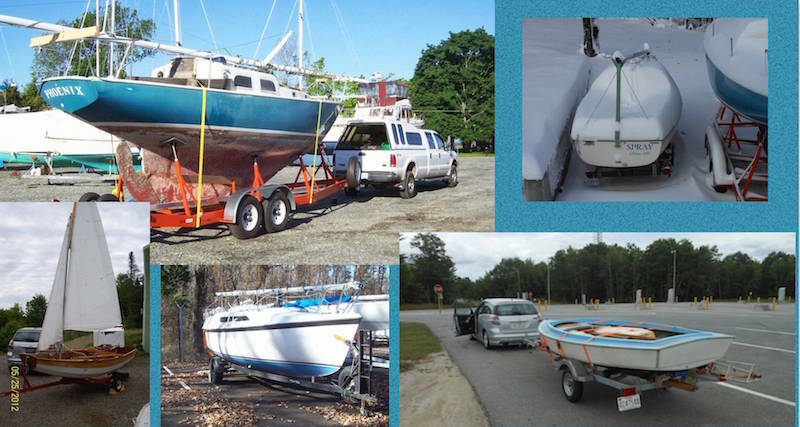 : Saildrive, oxymoron defined! 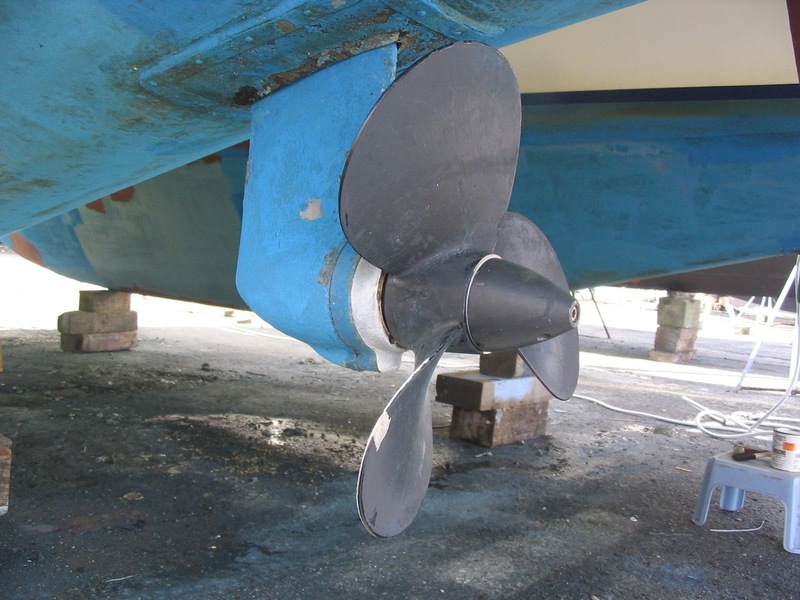 Here are a few pictures of the Volvo SD30 saildrives installed in our first big catamaran. 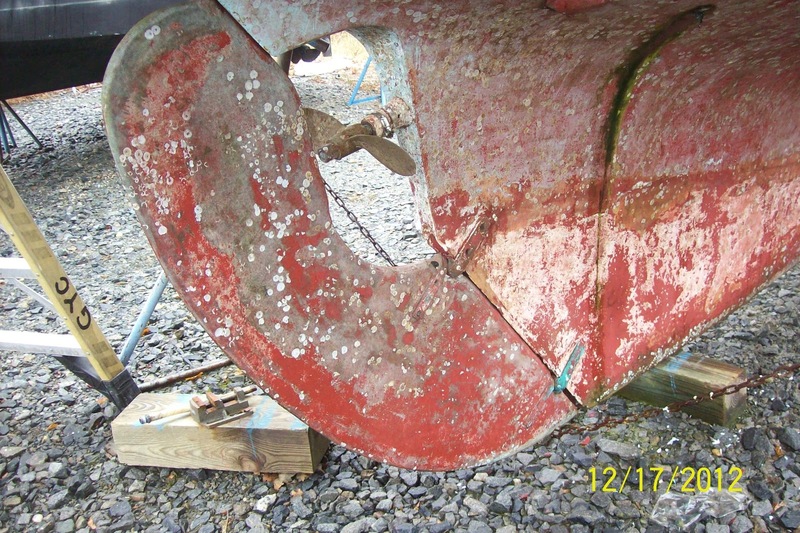 I read somewhere that a 1inch prop shaft on a fin keel sailboat generates as much drag as the entire hull. So really a saildrive should be call a sea anchor. Man was I a newbie then. This was my first big boat so I was seduced by the vast interior and livability of the Catalac. Oh and it motored great with twin three blade 17inch michigan props churring the water, which was a damn good thing because that pig would not sail in less the 15kts of wind. Want a pig. Don’t be fooled my slick sales copy or a fast talking broker, run away from any boat with a saildrive unless you really want to motor while real sailboats glide past. 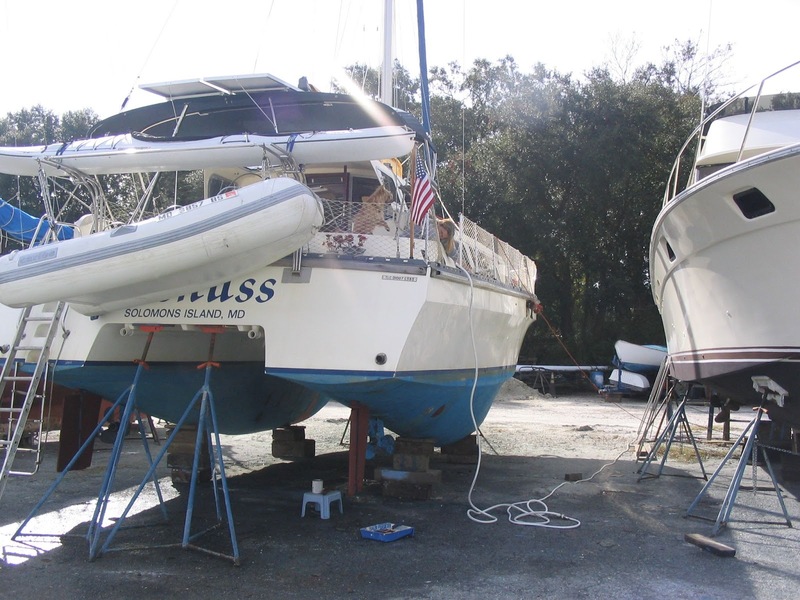 I was so sick of the poor performance of that Catalac after our first cruise that I had drawn up plans on how to rip out the twin diesels and saildrives and put twin outboards that retracted in a well. Then shutting the well doors. But in the end I’d fallen out of love with that motorboat and just wanted to sell the pig and get a real sailboat that we could also live aboard. 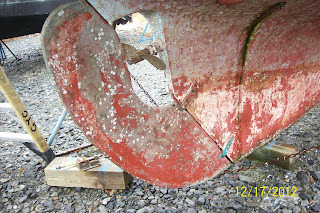 Now Phoenix originally had a prop in a large aperture between the keel and rudder. Pretty standard stuff for this era and hull type. Not a great design but no real issue on Phoenix becauseI’ll be pulling the prop and shaft then filling in the aperture. I’ll be using a small outboard that can full retract from the water. When I get to the actual build I’ll detail it on my main website.